Good Morning! And I have been wondering , when do I say good night and when Good morning, we have been sleeping at erratic times, almost early mornings, and waking up within hours, any way this morning started by saying bye to Kalyani who had an early morning flight. Most of the friends were sleeping and just opened their eyes for a minute. 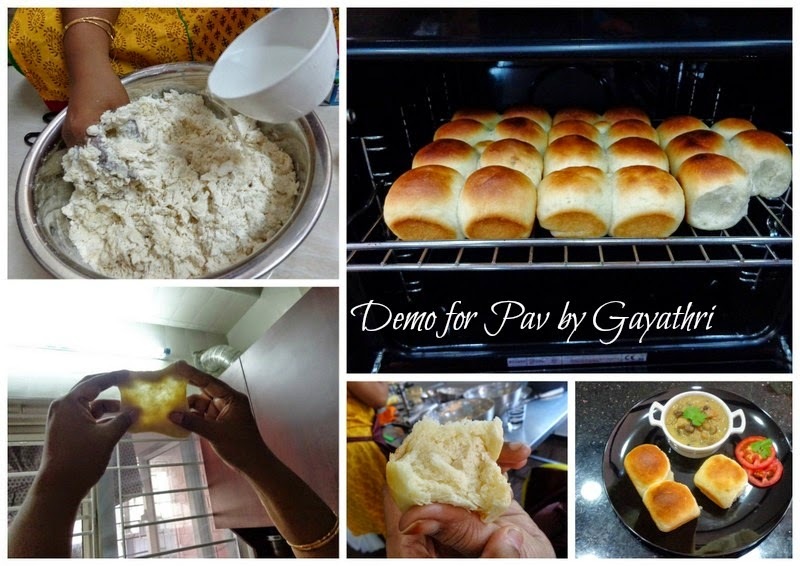 We were still in our night suits when Gayathri started kneading the dough for her super soft and spongy pavs. Everyone observed her very carefully, just like school kids attending a class. 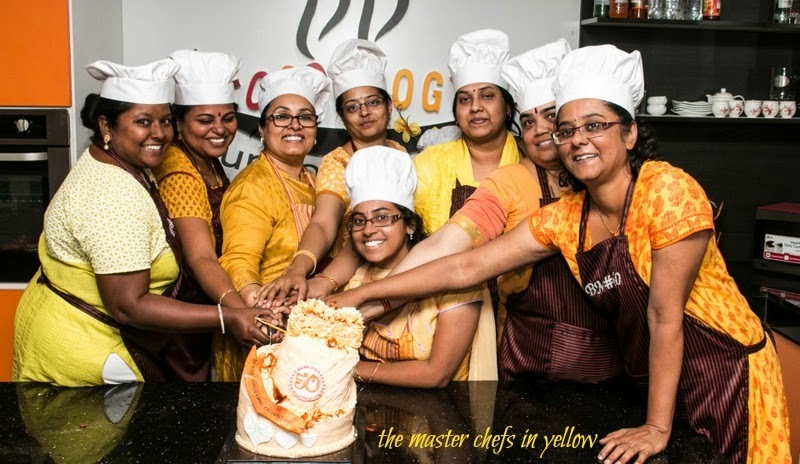 It is a recreational culinary studio where you cook , eat and enjoy fantastic food..
Kamallika is one of the chefs there and she had arranged for us to take demos there. 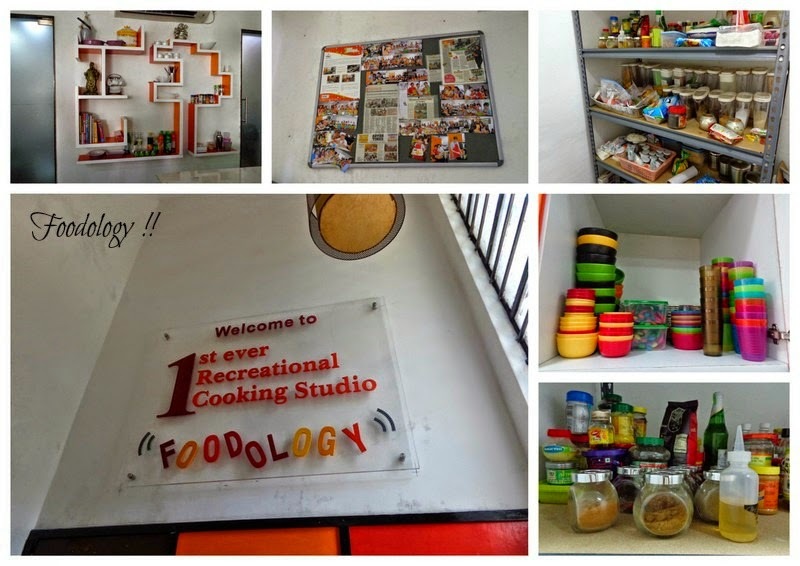 This place was really cool and had a amazing ambiance, it was well equipped with all equipments a food lover cook could ask for. The cake was a treat to see, and everyone was glued to see how it was crafted. I even made a face time call to Japan , so my daughter could make full use of this demo. Thanks Valli and Padma for making this happen. it sure was a job to hold on to the phone for so long! Archana got busy with her Tondak, and I with the Shahi Paneer. Pradnya had a flight so we had to make sure our dishes were ready to feed her. The Tondak was teamed with the pavs made by Gayathri , the paneer with chur Chur Parathas, which I still have to feature on my blog. Kamallika was gracious enough to help us with whatever we needed, and made sure we were comfortable. I must mention the drink that she made...ah it is one of the most refreshing and delicious ones I have had in years. Thanks Kamallika! 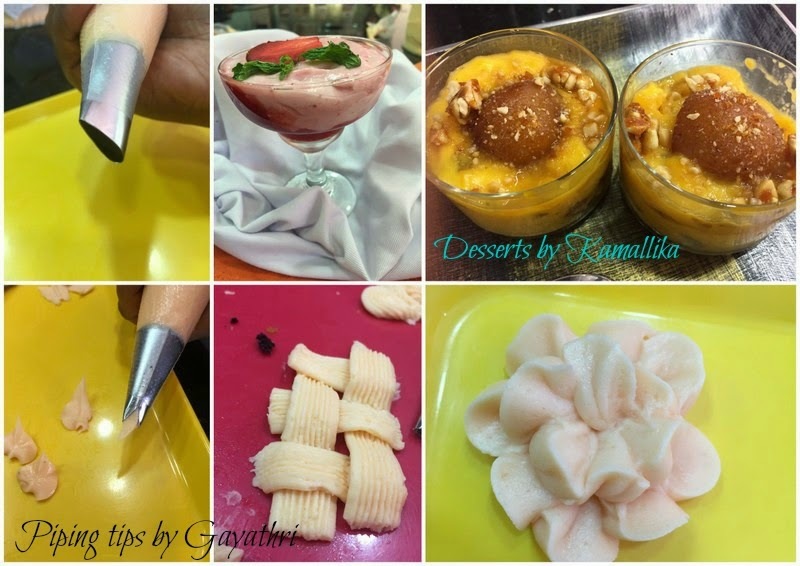 We cannot miss out the desserts at which Kamallika is a hit. Thanks Gayathri for teaching all those piping techniques...so patiently, that is one quality of yours which I admire the most!! After everyone finished the meal, it was time to cut our Topsy Turvy Cake . The BM meet was closing! A photo session followed and we actually looked like chefs with those chef caps and aprons. Well we cannot miss our little chefs, can we? Lots of hugs and byes. Headed back home, Valli quickly packed her stuff and left. Gayathri and Nandini too left soon. Archana and I were the only ones left behind, as we were to fly the next day. We went for some prop shopping , picked some steel ware. Enjoyed Appams for dinner and finally got back. Left early morning...saying bye to Padma was rather tough, she had opened her house to a notorious gang and hosted us very beautifully. Absolutely have no words to thank her and her hubby. As the car was leaving, her eyes welled up , we hid our tears ....and moved on waving. At the airport Archana and I parted , but with smiles..yes all good things come to an end....only to look forward for new beginnings. Yes we look forward to another fun filled BM meet...The BM # 75 ! !